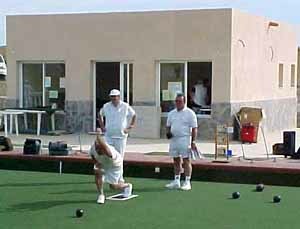 Indalo Bowls Club, located in the Los Gallardos area, near Turre, is the latest member of the Mojacar area of Almeria active bowling club community and started life in February 2001. 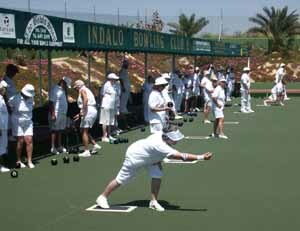 Indalo Bowling Club, located in the Los Gallardos area, near Turre, is the latest member of the Mojacar area of Almeria active bowling club community and started life in February 2001. 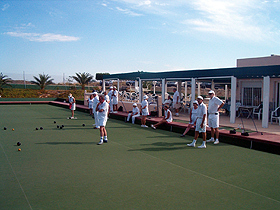 Indalo BC, located in the Los Gallardos area, near Turre, is the latest member of the Mojacar area of Almeria active bowling club community and started life in February 2001. The project was driven by the concept of creating a new club, completely controlled by the club members, themselves. The founding members were concerned about the insecurity of tenure that characterised some of the local clubs. Management of the club is spread over many functional committees, thereby extending participation to a wide group of members. In a region where grass greens are very popular, the decision was made to go for an artificial surface. The results, so far, are very promising, with a surface variation of only 4 mms. There are plans to build a second green, adjacent to the first, some time in the future. 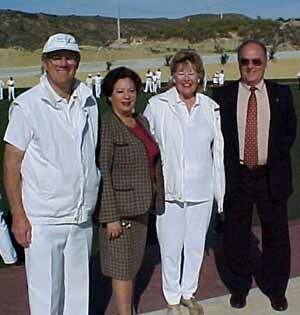 Shortly after the opening of the club, the President of the Analucian Bowling Federation, Jaime Entrecanales, accompanied by his Lady Wife, Teresa, visited the club. The visitors were hosted by the President of the club, Mike Watts and his wife, Toni. The club has a well equipped bar for providing all day refreshments and dining is generally outdoors with the purpose built demountable canopies providing shade during the hotter days and catering provided by arrangement on request. 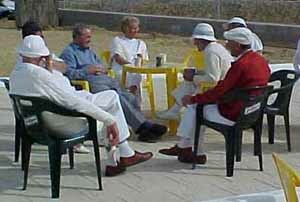 Visitors are always made to feel welcome and the locals enjoy the opportunity to play against visiting teams and socialise with them afterwards, however, they are always competitive and are justly proud of their record against touring teams, of all standards. On the ground floor there is a living/dining room with TV, radio, DVD and exit to the garden. 2 rooms, each room with 2 beds (105 cm, length 190 cm) and exit to the garden. Kitchen (4 hotplates, oven, dishwasher, freezer). Bath/WC, bath/bidet/WC. Oil heating. Terrace 25 m2, covered, patio 50 m2. Four deck chairs. Panoramic view of the mountains and the countryside. Facilities include washing machine, ceiling fans with remote control in the bedrooms, burglar alarm and heated marble floor. One pet/dog allowed. The extra bed is a folding bed. The house has a garden, orchard 11 ha, swimming pool (8 x 3 m, 01.05.-30.10.) and individual garage. 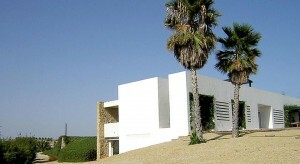 It is surrounded by orange groves (6 hectares) and seasonal crops. Person responsible for the care of the farm. Bus stop is 1 km away, sandy beach 12 km and a golf course 9 km away. “Crowood Sports Guides” provide sound, practical advice that will help make you a better sportsperson whether you are learning the basic skills, discovering more advanced techniques or reviewing the fundamentals of your game. 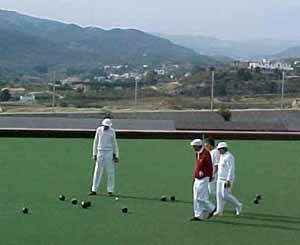 Indalo Bowling Club Canada de la Piedra Los Gallardos Nr.Mojacar Almeria.